EdTec is excited to attend the 2018 New Mexico Public School Leadership Conference as a presenter and exhibitor! 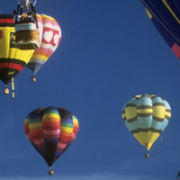 The conference will take place June 21-22 at the Crowne Plaza in Albuquerque, New Mexico. Katie Rarick, Client Manager at EdTec, will present a double session of training on each day of the conference. 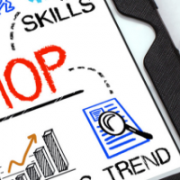 The training, “Charter Finance”, which has been approved for Governing Board Member Annual Training Credit, will take place on Thursday, June 21 and Friday, June 22 from 9:30am – 10:20am, and again from 10:30am – 11:20am, in the Colorado room. The training will provide an overview of the role and responsibilities of charter school board members in managing their school’s financial health and sustainability, as well as identifying and preventing fraud and misfeasance. We hope to see you at the training and our exhibitor table, where you can meet members of our team and discuss how we support New Mexico charter schools with charter development and back-office services. We look forward to sharing our knowledge with charter school leaders from across the state! Join EdTec at the National Charter Schools Conference! EdTec is excited to be a sponsor, exhibitor, and presenter at the 2018 National Charter Schools Conference! 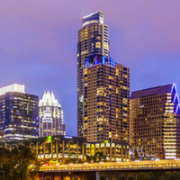 The conference takes place June 17-20, 2018 in Austin, Texas at the Austin Convention Center. We’ll be at Booth #1123 in the Sponsor Circle, so be sure to stop by to say hello to our team members and learn how our charter experts can support your school with back-office services and student data and assessment services. We’re also excited to share how we meet the needs of new school developers with our expertise in charter development. Bryce Fleming, EdTec’s Senior Director of Client Management and School Finance, will join Sarah Garrett of the Low Income Investment Fund to present a session at the conference. 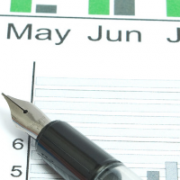 We invite you to attend “Cracking the Code: Your Guide to Financial Statements” on Tuesday, June 19 at 8:00 AM in Room 17B. This presentation is designed for charter school board members and administrators who do not have much experience with financial statements, and it will aim to decode the fundamentals of accounting and budgeting so that you are prepared to effectively engage in financial discussions and evaluate your organization’s fiscal health. We look forward to sharing our knowledge on this topic with charter school leaders from across the country! We hope everyone has an inspiring, successful conference experience and enjoys visiting the great city of Austin! https://edtec.com/wp-content/uploads/2019/01/NCSC-2018-blog-post-cover-photo.png 200 760 edtecwp https://edtec.com/wp-content/uploads/2018/07/edtec-logo-300x135.png edtecwp2018-06-15 11:15:322019-01-17 23:35:26Join EdTec at the National Charter Schools Conference! 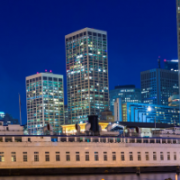 Connect with EdTec at the 25th Annual CCSA Conference! EdTec is proud to be a sponsor, exhibitor, and presenter at the 25th Annual California Charter Schools Conference! 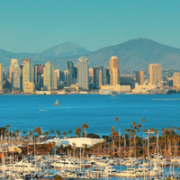 The conference will take place in San Diego from March 26-28, 2018. 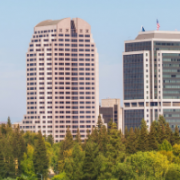 EdTec staff, along with our partner organizations and schools, will present 11 breakout sessions and poster sessions, as well as two sessions at the School Developer Summit. We’re looking forward to this opportunity to share our expertise on a wide range of topics and hear from charter school leaders about the challenges they face today. Take a look at our sessions below so you can plan ahead! We’re also excited to announce that we’ll have two booth locations at the conference this year. Stop by Booth 1615 to meet the EdTec team and learn more about our charter development and back office services. Our data experts will be at Booth 1801 to introduce you to our newest service offering, LCAP 360 by EdTec – the first integrated, end-to-end LCAP service for charter schools. https://edtec.com/wp-content/uploads/2019/01/CCSA-Conference-blog-post-cover-photo.png 200 760 edtecwp https://edtec.com/wp-content/uploads/2018/07/edtec-logo-300x135.png edtecwp2018-03-12 17:54:262019-01-17 23:37:31Connect with EdTec at the 25th Annual CCSA Conference! 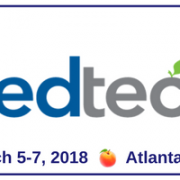 Join EdTec at the Georgia Charter Schools Conference! EdTec is excited to be a Platinum Sponsor of the 15th annual Georgia Charter Schools Conference! The conference takes place March 5-7, 2018 at the Renaissance Atlanta Waverly Hotel & Convention Center in Atlanta, Georgia. We’re proud to work together with the Georgia Charter Schools Association to support Georgia charters, and we’re looking forward to connecting with charter leaders next week at our booth and breakout sessions! We’ll be presenting two breakout sessions this year, both on Tuesday, March 6. We invite you to attend “Strengthening Board Governance: Using Dashboard to Drive Decisions” with our EVP and Chief Client Services Officer Peter Laub, from 8:30 am – 9:30 am in the Wilton room. This session is designed to help charter board members identify and aggregate key data points and make informed decisions about academics, finance, and compliance. We also hope to see you later in the day for our second session, “Better Budget Building“, which will begin at 3:30 pm in Grand Ballroom I & II. EdTec’s Gasper Magallanes and Leslie Gabbianelli will present this session, along with Dr. Latrisha Chattin, Executive Director of our charter partner Susie King Taylor Community School. Attendees will learn how to strengthen budget assumptions and meet state compliance standards in order to improve decision making at the school level and communicate a more effective story to potential fundraisers and lenders. We’ll be at Booth S17, so when you’re not attending sessions, please come by to meet our team and learn how our charter experts can support your school with back-office services. We’re also excited to share how we meet the needs of new school developers with personalized, multi-year budgeting and forecasting. We look forward to sharing our knowledge with Georgia’s charter school leaders, and we wish everyone a very productive three days of learning! https://edtec.com/wp-content/uploads/2019/01/GCSA-blog-post-cover-photo-1.png 200 760 edtecwp https://edtec.com/wp-content/uploads/2018/07/edtec-logo-300x135.png edtecwp2018-03-01 15:17:002019-01-17 23:37:58Join EdTec at the Georgia Charter Schools Conference! 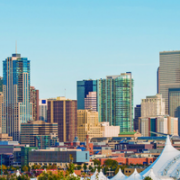 EdTec’s Going to the 2018 Colorado Charter Schools Conference! EdTec will be attending the 2018 Colorado Charter Schools Conference as an exhibitor and presenter! The conference takes place March 1-2. 2018 in Denver, Colorado at the Marriott Denver Tech Center. We’ll be at Booth #R11, so be sure to stop by to say hello to our team members and learn how our charter experts can support your school with back-office services. We’re also excited to share how we meet the needs of new school developers with personalized, multi-year budgeting and forecasting. EdTec’s SVP of Strategic Partnerships Adam Miller will moderate a breakout session at the conference. We invite you to attend “Through the Lender’s Looking Glass: Telling Your Financial Story” on Thursday, March 1 from 10:00 am – 11:00 am in the Larkspur room. Presenters include representatives from Low Income Investment Fund, Charter School Development Corp, and BB&T Capital Markets. Attendees will learn how to get their school’s finances in order as they prepare to seek out financing options, as well as learn what the various lender types look for when considering financing solutions for charter schools. We look forward to sharing our knowledge on this topic with Colorado’s charter school leaders. We wish everyone a very successful conference experience! https://edtec.com/wp-content/uploads/2019/01/CO-Charter-Schools-Conference-Blog-Post.png 200 760 edtecwp https://edtec.com/wp-content/uploads/2018/07/edtec-logo-300x135.png edtecwp2018-02-28 10:35:392019-01-17 23:38:19EdTec's Going to the 2018 Colorado Charter Schools Conference! 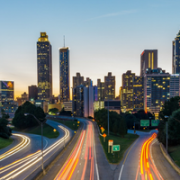 EdTec is proud to announce the opening of our Atlanta office! We’re especially excited to be co-locating with our partner, the Georgia Charter Schools Association (GCSA), which allows us to collaborate with a dedicated, passionate team and stay abreast of new developments in Georgia’s education landscape. There is a lot of momentum surrounding the charter school movement in Georgia. With so much growth in the region, there is an increasing need for high-quality schools. Enrollment in charter schools in Georgia has more than tripled over the last decade, exceeding 84,000 students in the 2016-17 school year (Georgia Department of Education). EdTec is eager to contribute to this growth by sharing our knowledge and expertise and expanding our impact in the state. EdTec currently works with four charters in Georgia, throughout the metro Atlanta area, Macon, and Savannah. We provide these schools with full back-office support, which means we provide a CFO-level resource and a team of specialists to perform payroll, accounts payable, and accounting functions, as well as to support financial reporting and compliance requirements, enabling school leaders to focus on academic excellence. We also supported a few of these schools throughout the charter development stage by creating their charter application budgets, identifying sources of funding, and helping with the chartering process. As part of our partnership with the GCSA, EdTec provides critical support to aspiring school leaders who participate in GCSA’s charter school incubator. Our staff works together with applicants to create their school budgets, and, when necessary, develops multiple iterations of school budgets for district and state applications. We look forward to continuing our work with the GCSA and supporting the growth of high-quality charter schools in Georgia!